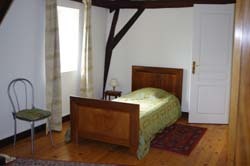 Situated next to the house of Philippe and Dominique, the gite consists of a detached cottage constructed in 1847 and has been entirely renovated. 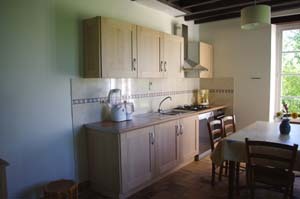 The gardens of some 3500m2 with a little river are available for you to enjoy. 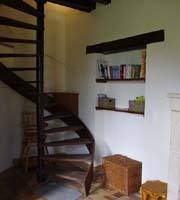 You’ll appreciate the sound of water tumbling down the waterfall between the old mill and the gite. There are acres of space to wander, relax and enjoy the tranquility. 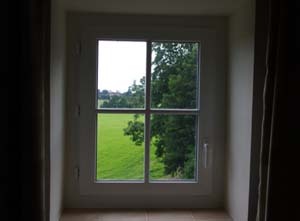 From the windows of the gite you’ll be able to gaze across the ponds in the fine gardens and out, further afield, to a beautiful patchwork landscape of fields, hedges, and streams. 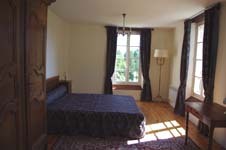 The Gite of the Bouté Watermill, a 3 story cottage of subtle comfort with all the charm of houses within the Perche region. Books (french and English), DVDs and games. 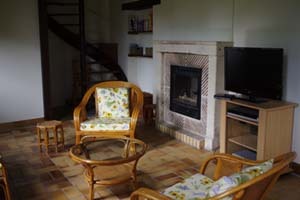 The gite is located within gardens that you’ll appreciate discovering in a relaxed manner. 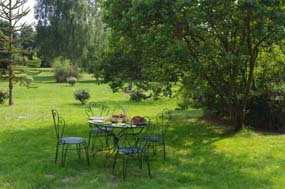 The garden furniture, long-chairs and a barbecue are at your disposal. 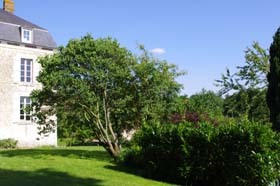 You can park your car in the yard, close to the gite or upon request, within the owner’s garage.